The beautiful courtyard at Islington Mill in Salford will come alive in September with a stunning line up of vegan beer, cider, soft drinks and food in the works. There will be three superstar vegan-owned and operated breweries: Bad Seed, Brass Castle and Twisted Barrel. To soak up all that delicious beer, we’ll have food from VRev Vegan Diner, Sgaia, Mother May I, The Vegan Food Pod and joining us from Ireland, Moodley Manor! RSVP to the Facebook event here. Full details and ticket links on their website. Islington Mill is less than a 10-minute walk from Salford Central Station. Food and drink is not included in the ticket price and all tickets are NON-REFUNDABLE. Only ticket holders will be permitted to buy and consume food or drink (including non-alcohol drinks). No outside food or drink permitted. Your ticket price includes a collectable plastic pint cup that you use all day and then take home with you! See a picture of this year’s cup here. 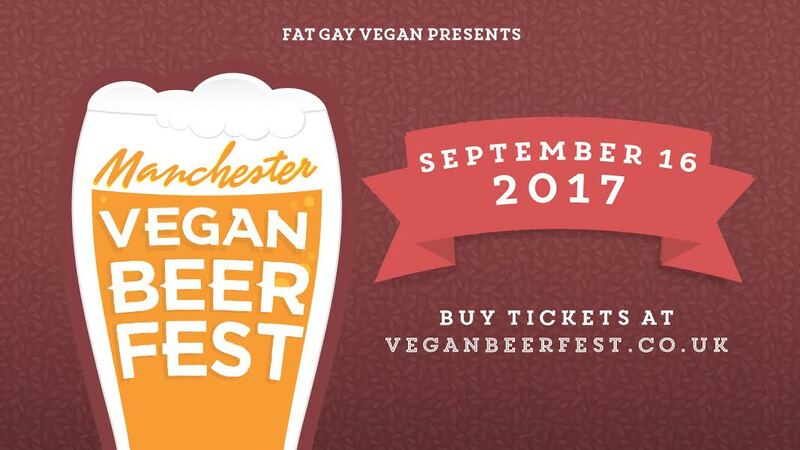 Manchester Vegan Beer Fest is not a place to deliberately make people feel bad about stuff. You cannot be at this event if you intend to use sexist, racist, homophobic, transphobic, ableist and ageist language or behaviour. The organisers reserve the right to deny or revoke entry to the event and will take great delight in doing so if you act like an anti-social person. Immense gratitude to Follow Your Heart for sponsoring this event. GRUB Food Fair: Opening Party!